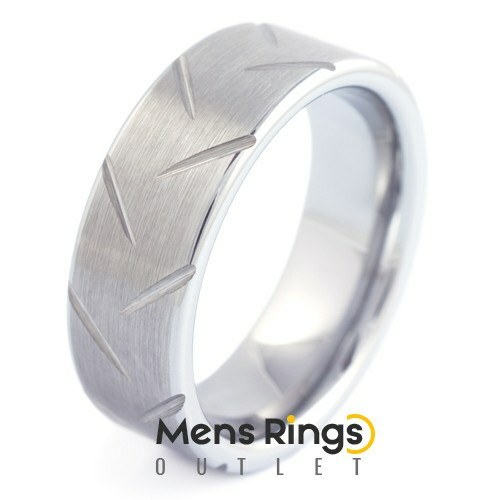 An 8mm pipe cut brushed band with polished angled indents that centre in towards the band. Sword Cut in our opinion is one of the neatest rings around. An 8mm brushed band with polished angled indents that we aptly call the Sword Cut.